WHEN Carol Priestly wakes up, she is overwhelmed by pain throughout her body. She cannot sit for more than 15 minutes or walk around for more than 30 due to degenerative disease in her spine caused by chemotherapy. Yet, the government says the Maryborough mum of four can still work 15 hours a week. The life she lives now is of great contrast to her past where she worked in her dream career as a disability worker and was "the happiest person in the world". Within a year, it all fell apart and now she has been given a 30% chance of surviving past five years and at 56-years-old has the physical body of a 75-year-old. "I wasn't expecting life to go this way," she said. "I'm better dead than alive, that's what it feels like. "I'm constantly medicated for the pain, I can't even drive." 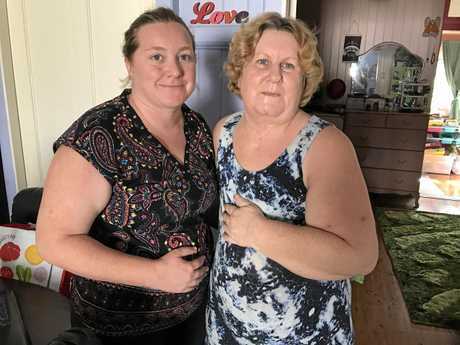 Ms Priestly applied for her first Disability Support Pension with Centrelink in December 2016 after she was diagnosed with degenerative disease. Her application was rejected on the grounds she did not have all the correct information. In July 2017, she applied for yet another DSP which was rejected in January 2018 on the job capacity assessment. "Apparently I leant down and got a bottle of water out of my bag while speaking with them in Maryborough so they said I can work 15 hours a week but they didn't read the medical evidence." The application has now been appealed and Ms Priestly is still awaiting response. In the meantime she has been placed on Newstart Allowance earning just over $600 a fortnight. On February 4 2016, Ms Priestly was diagnosed with stage 3 breast cancer and later discovered her entire left breast had tissue based cancer. She had her first masectomy on June 1 2016 before she began chemotherapy in Redcliffe, Brisbane. After three rounds it was cancelled. "They cancelled it because it was killing me more than the cancer cells," she said. "I was forced to leave my job which I really loved and I tried contacting Centrelink but you don't get any payments until you're diagnosed, treated and stabilised." She was unable to have surgery to help her degenerative disease as there was a 90 per cent chance she would lose the use of her right arm or end up in a wheelchair. 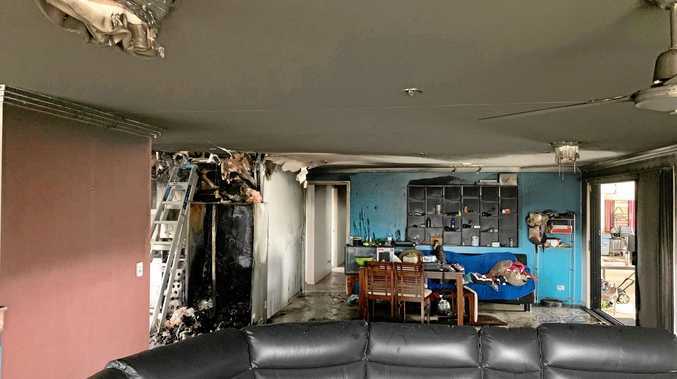 Department of Human Services General Manager Hank Jongen said the department worked hard to process all claims as quickly as possible, regardless of where the claimant lives. "We recognise medical conditions can have a significant impact on people's lives, however, do not have any discretion to grant payment outside the very clear criteria set down in legislation," he said. "While the Disability Support Pension claim is being processed, other income support such as Newstart Allowance is available, and the person is exempt from looking for work." After speaking with the Chronicle, the department said they would contact Carol to ensure she was receiving the appropriate support. Desperate for assistance, Ms Priestly contacted Wide Bay MP Llew O'Brien who she said made multiple calls to Centrelink to chase her application. A spokesman for Mr O'Brien said his office would always assist residents of Wide Bay to access Australian Government services. They said Mr O'Brien's office had "provided support and made many representations" to Centrelink on behalf of (Carol) to help them with their claim for a Disability Support Pension. As she is unable to fend for herself, Ms Priestly is cared for by her daughter, Amy in Maryborough. "If I didn't have children, I would be living on the street," she said. "It gets depressing that you have to have your child support you." Now, Ms Priestly wants others in the same predicament to know there is support out there. "I'm not the only one in this situation," she said. "I see people when I go to hospitals in Brisbane and I speak with people who have gone through the same thing."